"The role of the artist is to fulfill the human expression of the time in which we live." My work, deeply personal and expressionistic in its nature, deals with the "human condition", my own life experiences, and impressions gained through my extensive travels to other countries and by exposure to their cultures. 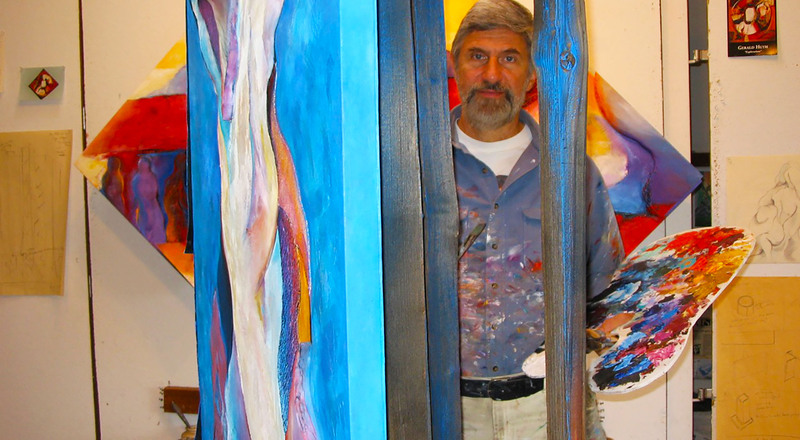 I have selected wood sculpture and oil painting (on various shaped canvas forms) as the media for many of my works. These three-dimensional pieces combine the effects of paintings and sculpture. Many of my ideas are also explored through mixed-media collages, collage/paintings, and collage/sculptures, combining different papers and a variety of drawing techniques.